This is a detail from a long painting I did called "Tuesday Morning." 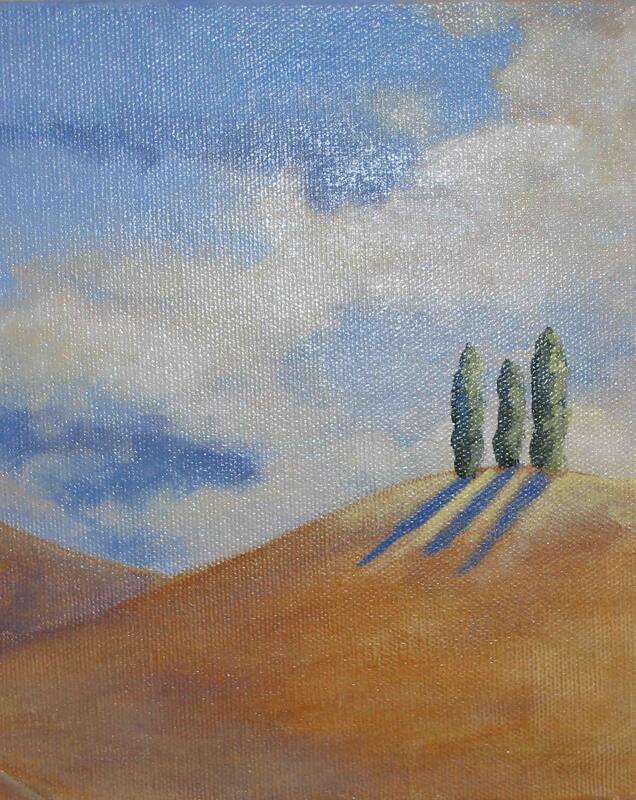 I always put 3 cypress trees in my paintings when I can. They represent 3 wonderful cats I used to have. I miss them! All of the cards I purchased are fantastic. Thank you so much for all of them!